You would never fly in a plane that was not regularly maintained, serviced, and inspected. The same logic holds true when it comes to your HVAC system. Regular HVAC preventative maintenance is the best way to ensure trouble-free operation and peak performance. Pre-season maintenance is important. It can help to avoid a system failure in severe hot or cold weather when you need it most, and it can also keep your energy bill from getting out of control. Maintenance tune ups start at $95 per unit. Discounted 12-month heating & air conditioning service agreements are available. Early season tune up requests may be available at discounted prices (Terms and Conditions Apply). Call our technicians today to schedule a AC or Heating maintenance tune up you can count on. In addition to the above listed services, we will provide you with emergency service 24 hours a day, 365 days a year through our emergency answering service and stand-by technicians. It is our intention to provide exception service to keep your system in good repair and operating condition. 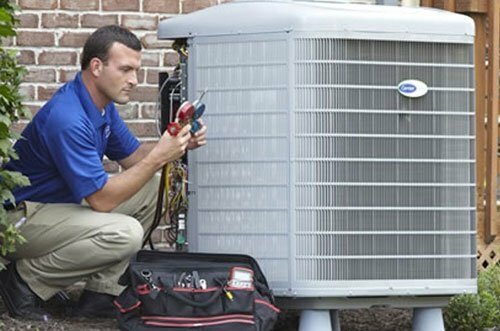 With proper maintenance to your heat and AC system we expect to improved efficiency, extend equipment life, and improved safety. Maintenance tune ups start at $95 per unit. We also offer 12-month heating and air-conditioning service agreement. Call To learn more. Early season tune up requests may be available at discounted prices (Terms and Conditions Apply). Call our technicians today to schedule a AC or Heating maintenance tune up you can count on.